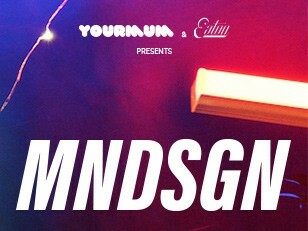 YourMum is delighted to announce that Mndsgn (pronounced Mind Design) will make his local Hong Kong debut on March 21 at Eaton Hong Kong. Born Ringgo Ancheta, the American hip hop producer of Philippino descent grew up in south New Jersey, raised with Gospel music at church, B-Boy culture, and his older sisters’ favorite 90s R&B artists. Experimenting with beat­making in his teen years, he befriended fellow Stones Throw label­mate Knxwledge and the two formed the influential Klipmode collective. Mndsgn's music flourished when he moved to Los Angeles, quickly catching the attention of Low End Theory as well as Stones Throw, who released ‘Yawn Zen’ in 2014 - a LP of complex, introspective beat creations punctuated by intriguing vocal cuts. 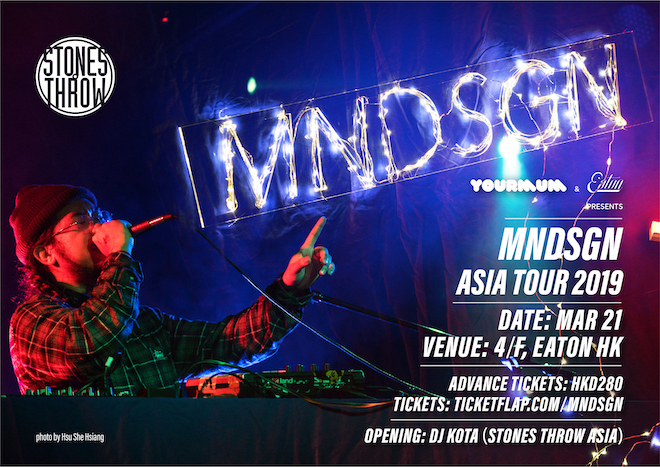 Mndsgn then toured the globe, co­found Akashik Records & Tapes, and provided the beat for "Sweeny Song", a high-profile collaboration with underground rap superstar Danny Brown. Mndsgn followed up with his sophomore LP ‘Body Wash’ in 2016 which was proclaimed one of the best electronic albums of the year by Pitchfork media. In 2018, he released ‘Snax’ - a new mix-tape album, as well as producing legendary funk artist Prophet’s ‘Wanna Be Your Man’. This March, HK fans have the chance to see this innovative producer perform in the city for the first time, in the lovely surrounds of Eaton Hong Kong. Tickets are limited, don’t delay!